Yes you need a visa which you'll recieve on arrival to Nepal, we would strongly recommend before applying for your visa please consider the following factors: Nationality and place of residence and length of stay. And all volunteers must ensure they have a passport which is valid at least for 6 month from entry. Nationality and place of residence: Almost every nationalities excluding residence of india are required to obtain a visa to enter Nepal for more information please visit Nepalese embassy . Length of stay: The visa years starts from January to December and you can apply for 150 day in a year. Tourist visa can be obtained for up to 90 days. If you want to stay more than that, you can apply for visa extension in Kathmandu or pokhara and our coordinators will help you in this process. Tourist visa will expire after 31st of December so if your program continues from December through January, we recommend you to obtain an initial visa to cover your stay for the time you will be in country before January and then you can apply for an extension to cover your remaining stays. Apply for the visa: For most nationalities except Chinese and some nationalities in Africa a tourist visa can be obtained on arrival to Nepal for fee of US$25 for 15days, US$40 for 30 days and US$100 for 90days, along with a passport and photo. You can also process in your home country from Nepalese embassy. Will Volunteer FDIP help me on visa on arrival process? We can provide you necessary advices. But we recommend you prepare all visa procedures from your home country. What about my flights and transit? You will have to provide your flight details to our program coordinator at least 1 week before you fly for project destination. Can you help me to get cheap tickets?? No, applicants are supposed to deal with their airway fares themselves. Will you manage my returns flight? Yes, if you choose to do so we can manage your trips back to your home. It's my first time I have never been to Nepal. How safe is it? Nepal is developing country with the people with good heart and safety is first priority of Volunteer FDIP. Your security is our concern so we aassure you a safe volunteering but meanwhile you should also stay within the rules of Volunteer FDIP. Is it easy to keep in touch with my family and friends? Yes off course, you can call and chat with your family and friends through phone and internet. Phone: You can bring your own mobile phone and if it is SIM card compatible we can provide you local SIM's for approximately US$5 . Internet: We have free wifi facilities in our hostel from where you can chat with your friends and family. but It may be available in host family . So mobile Phones are more compatable and easy to keep in touch with. Do I need vaccinations before travel to Nepal? Though any immunizations are not officially required to enter Nepal, it would be better to have medical advice from a GP or doctor. Please check if your prior vaccinations are still up-to-date. From the moment you visit our website till the time you arrive to our project and return satisfied, there are few of our technical and field staffs working for your service to make your experience trouble free and convenient. The registration fee you pay goes to our office account which you are paying for our technical staffs and field staffs working to make the process run smoothly. You pay the programs fees entirely for the host families or specific project you've applied for. Besides this you will need to pay for airport pickup, meal and accommodation too. Is travel insurance included in program fee? No, program fee does not include Travel Insurance . However travel insurance is mandatory. Volunteer FDIP can help you to get travel Insurance. Is program fees and registration fees are refundable? In certain condition it can be refundable. Please visit our Terms and Condition page. Can I pay my program fee on arrival? Yes off course you can pay your program fee on arrival. However we recommend you to pay through our payment gateways because carrying money can be unsafe for you. Is there a discount for returning volunteers or registering on multiple FDIP programs? We don't have these provisions but you can talk with our project manager we hope you will get handsome discounts. Why should I be convinced that FDIP is legitimate volunteer organization ? FDIP Nepal is registered Non Governmental Organization of Nepal registered under home ministry on Nepal and associated with Social Welfare Council Nepal. Why should I volunteer abroad ? Volunteering is good chance to travel abroad meanwhile getting connected with the local people and contributing to the people in need, making your journey worthwhile. It generates positive vibe to your personality and bring enlightenment to your thoughts. It also brings confidence to visit rural places and to be friendly with new cultures. Hence volunteering is an act of helping others while developing yourself too. Why choose FDIP for volunteering? 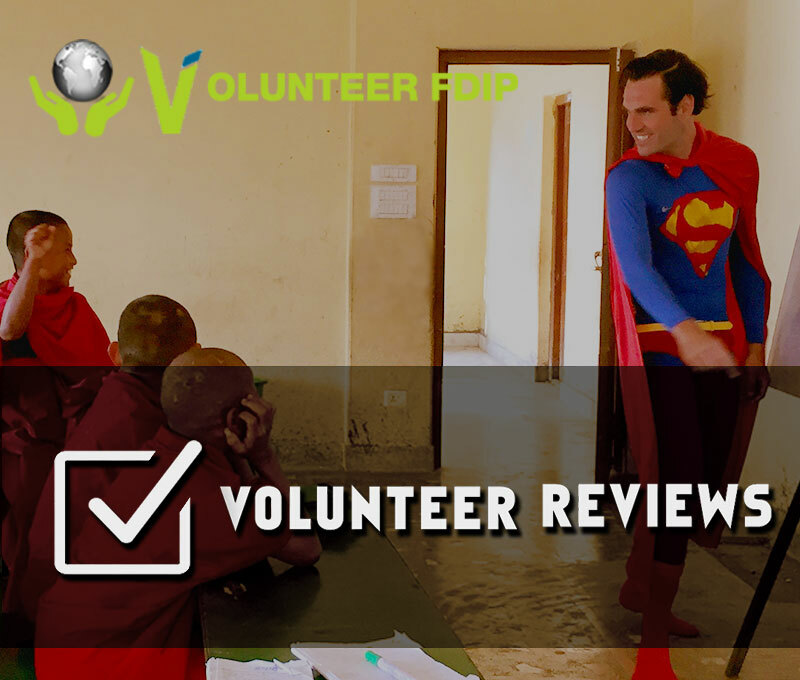 Volunteer FDIP is most affordable and genuine volunteer organization of Nepal. Projects are based on rural areas of Nepal and focused to the rally needy people. Can we come in group? Can children under the age of 18 volunteer with FDIP? No. under 18 are not allowed to volunteer with FDIP alone. However, if they are volunteering as part of group (with adult) with family member or guardian then will be accepted. Can you tell me about my accommodation and meals? Your accommodation and meals are arranged by Volunteer FDIP which we have mention in our. If you are diet conscious then ask us we will try to arrange meal as you suggest. Which language is mandatory? Do I need to be able to speak Nepali language? Volunteers with Basic English language are accepted to participate in FDIP program. No you don't have to be fluent in Nepali language. We will teach required basic Nepali language during orientation classes. You can also take additional language lessons. Tell me about donation to FDIP?